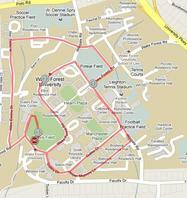 Join us for the first 5K DEACon Dash on Saturday April 13th, 2013! 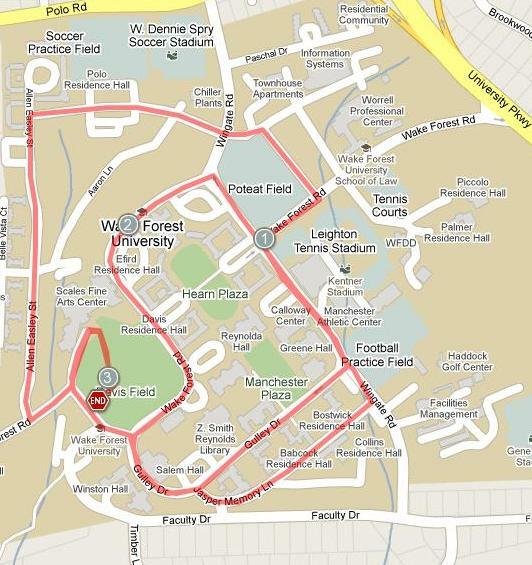 The race will begin at 10:00am at Davis Field (see map). Proceeds will go towards supporting the DEAC Clinic, which provides high quality free health care to underserved individuals in the Piedmont-Triad area. Click here for more information on DEAC. The cost to enter the race is $30 for single participants and $25 per person for groups of at least 5 people. Race entry includes a t-shirt. To sign up for the race, please complete both steps below. Information on where to pick up your t-shirt and race packet will be emailed to you a couple of weeks before the race. All race entry fees are non-refundable.